The Basic Strategic Plan Template for PowerPoint is simple board layout created to sort strategic ideas. 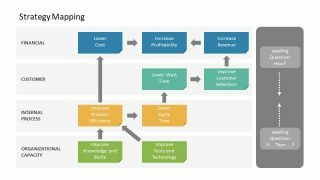 Allowing the entry of strategic plan actions with the popular cards method in different layers, the user can map initiatives and objectives in a structured fashion. Organize different stages of a business plan and smoothen the state of operations in order to better transmit the message to your audience. 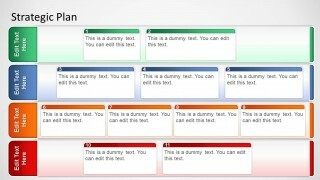 The PowerPoint template layout is designed as a rectangular board with different horizontal layers. Each layer can be labeled to describe the stage of the plan it represents. 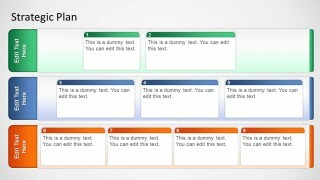 Each stage contains a set of cards, created as PowerPoint objects. Each card has a title and a gradient border matching the stage color. The PowerPoint template provides three variations of the board. The difference between them is that they have a different number of major horizontal layers. The first has four stages/milestones, the second has three, and the third has two. The number depends on the amount of work milestones to be completed in the project. They also differ in the number of sub-categories, ranging from two to four per stage. The stages have different colors so they can be easily distinguished. These are green, blue, yellow, and red. However, these colors can be easily edited by changing the color scheme in the presentation design. 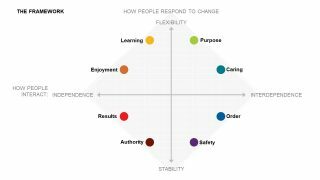 The colors can also correspond to the level of urgency or priority put into each stage. Green can mean nothing, or something mild and ordinary; while red can mean a high-priority disaster. 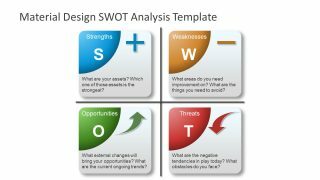 Most suitable for presenting and organizing business plans, the Basic Strategic Plan Template for PowerPoint contains helpful PowerPoint graphics which can be easily edit to fit the presenter’s needs and preferences. 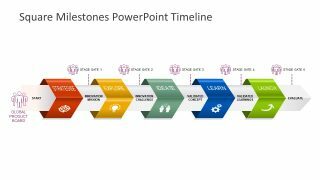 The user can also download other strategy presentations, such as the Strategic Planning Templates for PowerPoint.